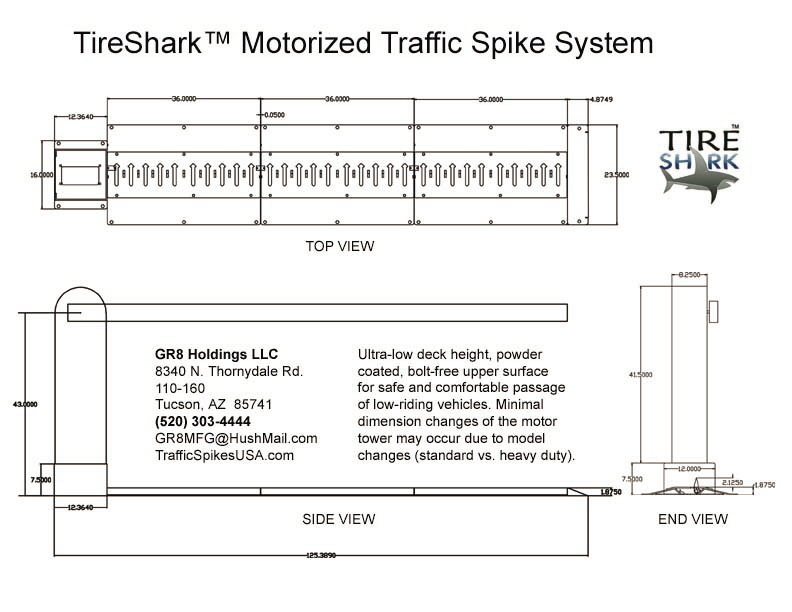 Motorized Traffic Spikes by TireShark have the lowest deck height in the world, eliminating vehicle strikes and increased maintenance. 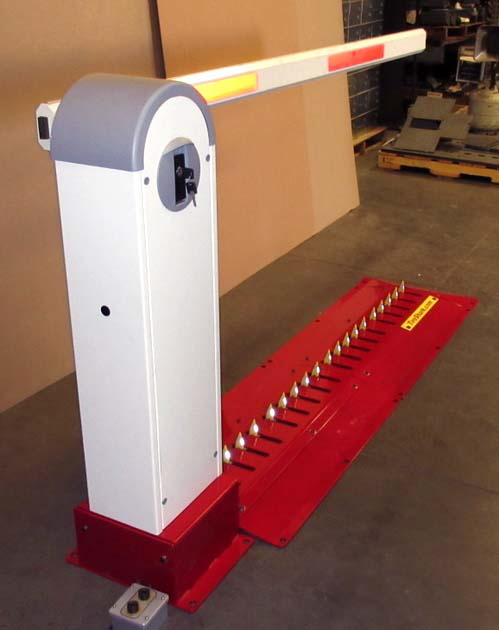 Your clients will be able to drive across the system without an uncomfortable amount of vehicle lift or bump felt and they enter or exit your facility. 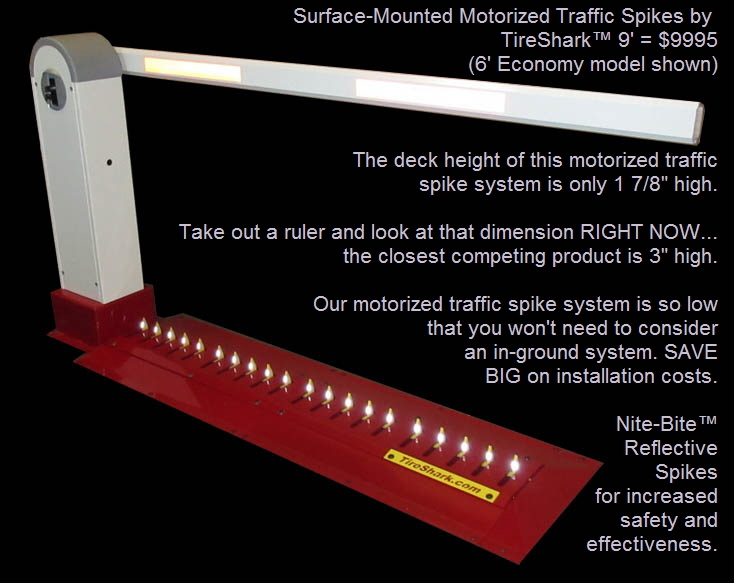 Our motorized traffic spike deck height is only 1 7/8”, clearing any supercar, sports car, or low-rider. Competing products have 3” high deck heights, partly made up by the height of bolt-heads. Those get sheared off by low-riding vehicles, causing damage and unecessary repairs to spikes and vehicles alike. Our motorized traffic spikes have NO bolt heads on the upper deck. 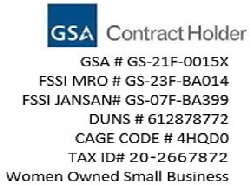 for pricing and additional product information. Motorized Traffic Spike CAD - Click on image for larger version.